1. 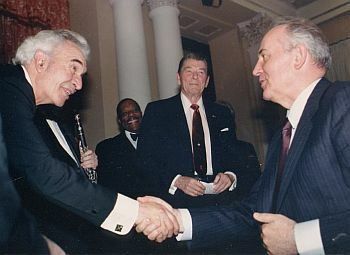 Reciprocal US State dinner - Spaso House, Moscow - May 31, 1988. Click here. 2. Uruguay State visit to US - June 17, 1986 - White House. Click here. 3. Duke Ellington's birthday celebrations - White House - 1969 . Click here.